I can relate to your story all too well. If I had a dollar for the number of conversations about “Feminism” that I’ve had with men in the past couple years, I would be one wealthy sista…ya dig? They are conversations that need to happen and many times when both parties are “trying to understand, [them] listening to you and [you] to them” it can be very fruitful and a lot can be learned. BUT, my friend, how does all of this translate when it comes to dating these men? I thought that I had put this topic to rest (at least for a little while) and found peace and contentment in seeking my “wholeness.” As you may recall, in my earlier “Blogging as Therapy” post, I emphasized that “wholeness” is the ultimate goal—but let’s be real. Getting there is a journey all on its own that is much easier said than done. So as I continue to tread along this path, how do I deal with all the obstacles (to achieving said wholeness) along the way? Gaaah. So deep. Friend Zoned Feminist = no fun. I must say that I have seen this time and time again–guys who are interested in working out all of their personal ish with you (the stuff that they don’t really feel comfortable talking about with their boys, i.e. emotional baggage, insecurities, and vulnerabilities) and fostering a deep emotional connection without the committment or much reciprocity. As one commentor put it, “Doing girlfriend duty, without the girlfriend benefits.” Hmph. Ugh. All I have is questions and very few answers. But, at the end of the day, I can honestly agree with Crunktastic–“Dating While Feminist*” is DEEP, to say the least. 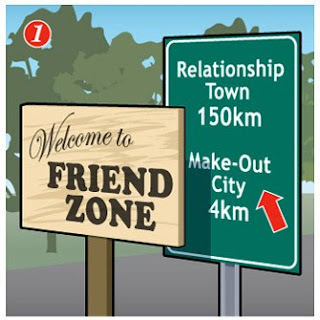 You are currently browsing the friend zone category at That's So Deep.